Yesenia grew up summer’s milking cows on her dad’s farm in the Dominican Republic. David grew up tending his dad’s sheep in Vermont. Together, they make a mixed milk cheese called “Invierno”. 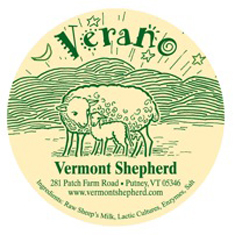 The sheep milk comes from David and Yesenia’s sheep who are famous for the Vermont Shepherd cheese their milk produces. The cows milk comes from 12 Jersey cows who live a mile down the road. 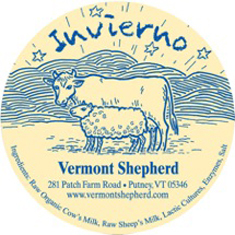 Invierno (or “winter” in Spanish) is a soft to semi-hard natural rind cheese, aged 4-5 months. Invierno is a versatile cheese with a rich, butter and mushroom flavor. It melts well and it’s delicious with cider, beer and rich savory red wines.